So, it’s finally happened—you’ve stepped on the scale and noticed that your diet isn’t working. You’ve plateaued in your progress, or even worse, you haven’t made any. What could possibly be happening? Now, it’s been shown that diets don’t work in the long term. Experts say that about 65% of people who go on diets eventually regain all the weight—if not more—within three years. A more appropriate way to reach weight and body composition goals is to make comprehensive lifestyle changes instead of yo-yo dieting. But even those who regularly eat healthy and keep their calories in check can reach a point where there is no further change or development. The main reason for this is that humans aren’t necessarily what they eat, but rather what they absorb. And there are a number of factors that influence absorption, which in turn influences the ability to reach food-driven goals like improved health, weight loss, and better body composition. If you want your diet to work, it’s time to re-evaluate your eating and digesting practices. Feed Your Friends: Give Your Gut Bacteria the Best! Can The Toilet Tell You If Your Diet Isn’t Working? When does the digestive process start? Once the food is in your stomach? Although it may seem like a reasonable answer, the truth is that the digestive process begins the moment you smell food. At that point, your body kicks into gear and starts to get ready for what’s coming. With your senses piqued, the next step begins when saliva starts coming up your throat and into your mouth when you’re sitting over your meal—the “mouthwatering” sensation. Chewing is the third step, followed by swallowing, nutrient extraction and digestion, and finally, waste removal. The entire process takes about 20 minutes (at least for the first bite to make it into your stomach), which is why it’s so important to eat slowly and mindfully. The faster you eat, the more likely you are to eat past the point of satiety. Give your body some time to react to what’s happening. Chewing may be the most overlooked portion of the digestive process, and it’s arguably the most important. If food isn’t adequately mashed up and broken down by the time it gets into your stomach, it becomes much harder for your digestive enzymes to do their job. These enzymes take the macronutrients (carbohydrates, proteins, and fats) and micronutrients (vitamins and minerals) in your food and break them down into molecules small enough to pass from your gut into your bloodstream. This process is essential for energy, growth, and cell repair. So, let’s say you’ve just had a healthy meal of seasoned grilled chicken breast, steamed broccoli, and brown rice. You may be confused if you’re feeling bloated and gassy afterwards—perhaps even for days later. Basically, you’re not feeling any thinner or healthier than when you ate a slice of pizza. If you finished the entire plate in just five minutes, there’s a good chance that you didn’t chew very well. Therefore, you could have big pieces of chicken and broccoli fermenting in your belly. This means you’re not properly or entirely absorbing the nutrients in the food you eat. As such, it really doesn’t matter that you’re eating nutrient-dense food. The fermenting pieces can also contribute to indigestion, inflammation, bloating, and general discomfort. So, take your time to chew, break food down, and give your digestive enzymes the best opportunity to go to work effectively so that your diet works. Another barrier to absorption is the make-up of your gut bacteria. The trillions of bacteria that inhabit your gastrointestinal tract help your body break down and distribute nutrients (mainly complex carbohydrates and fiber) that are more difficult to digest. If you don’t have a diverse and healthy population of gut bacteria to aid this activity, you won’t be getting the most health benefits from your food. This can be a difficult area to navigate because most people don’t know the makeup of their bacterial population, which can also change over time. For example, for the past six months, you may have been eating an extremely healthy diet that doesn’t include a range of different foods. Perhaps you’re sticking with grilled chicken, broccoli, brown rice, and olive oil for two meals per day; some veggies for snacks; and eggs or oats for breakfast. Essentially, you’re cycling through the same foods every single day. You may have noticed a big difference at first—you may have felt better, experiencing weight loss and better digestion as expected. But a few months later, things become stagnant as your body adjusts. It’s the law of diminishing returns. You are no longer absorbing the nutrients in the food to your full potential. Start supplementing with a probiotic and diversifying your diet, and before long, things should return to normal. This is because, even though the food you once ate was healthy, you likely homogenized your gut bacteria to the point where they were no longer beneficial. Trying to eat different foods (fruits, veggies, healthy fats, lean proteins, whole grains) daily is a great way to diversify your gut flora and help to maximize absorption. Medication, particularly antibiotics, can also limit your ability to absorb nutrients. Antibiotics kill both harmful and beneficial gut bacteria, which severely limits absorption. If you can, avoid taking antibiotics. Also, if you can afford it, make sure you buy organic, taking extra care to rinse and wash fruits and vegetables. As it improves, your balance of gut bacteria should help regulate and improve a poor sleep schedule. But in the meantime, look for ways to reduce stress and encourage better quality sleep. Stress and sleep are two major contributors to the success, or lack thereof, of a diet. If your diet isn’t working, it’s a good idea to take a look at your sleep patterns and stress levels. Poor sleep and stress can lead to inflammation, raised cortisol levels, fat storage, and poor nutrient absorption. We talked about how switching up foods can improve digestion and absorption, but pairing different food groups can also help enhance bioavailability (the amount of nutrients that are digested, circulated, and absorbed). Pairing a fat source, for example, with carotenoids (plant pigments that give carrots, tomatoes, and oranges their color) or other fat-soluble vitamins can help their absorption. Pairing meat with plant sources of iron, like legumes, nuts and seeds, and green leafy vegetables, can help enhance absorption, too. Furthermore, having a source of vitamin C (broccoli, bell peppers, grapefruit, etc.) can boost the absorption of iron two or threefold. For every meal, try and include a serving of lean protein, a healthy fat, and a green vegetable. A surefire way to tell if you’re maximizing absorption—and whether your diet is working—is what is left in toilet after a bowel movement. If your stool is watery and loose, or you find yourself rushing to the bathroom shortly after eating, you’re not absorbing much. Generally speaking, healthy stools that indicate good absorption will be smooth like a sausage or snake, sometimes with some slight cracks. Whether your goals are to lose weight, build muscle, re-compose your body, feel better, or reduce the risk of illness, nutrient absorption will be the deciding factor in your success. If you’re sick of your diet not working or are convinced that diets don’t work, you can still make progress instead of excuses. Stay away from fad diets and restrictive eating. Avoid “cleanse” or “detox” programs. Focus on making wholesale changes, not limited-time crash diets. Include a diverse array of vegetables, fruit, lean proteins, and healthy fats in your daily eating regimen. Use whole grains a few times per week, and use them to substitute refined grains. Monitor how your body responds to certain foods (stomach pain, indigestion). Take your time eating meals. Cycle foods and macro sources. Get 28 to 38 grams of fiber per day. Jha, A., “Diets don’t work long-term, says study,” The Guardian, April 10, 2007; https://www.theguardian.com/science/2007/apr/10/medicineandhealth.psychology, last accessed January 25, 2018. Ferdman, R., “Why diets don’t actually work, according to a researcher who has studied them for decades,” Washington Post, May 4, 2015; https://www.washingtonpost.com/news/wonk/wp/2015/05/04/why-diets-dont-actually-work-according-to-a-researcher-who-has-studied-them-for-decades/?utm_term=.33989a59507a, last accessed January 25, 2018. “Nutrient bioavailability: Getting the most out of food” EUFIC, December 1, 2010; http://www.eufic.org/en/food-today/article/nutrient-bioavailability-getting-the-most-out-of-food, last accessed January 25, 2018. 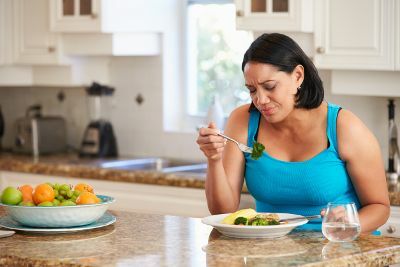 Oludoyin, P., “Stress, a Major Determinant of Nutritional and Health Status,” American Journal of Public Health Research, 2015; 3(1): 15-20, DOI: 10.12691/ajphr-3-1-3; http://pubs.sciepub.com/ajphr/3/1/3/, last accessed January 25, 2018. “Absorb More Nutrients with Digestive Enzymes,” Dr. Axe; https://draxe.com/digestive-enzymes/, last accessed January 25, 2018. “Your Digestive System & How it Works,” National Institute of Diabetes and Digestive and Kidney Diseases, December 2017; https://www.niddk.nih.gov/health-information/digestive-diseases/digestive-system-how-it-works, last accessed January 25, 2018.